umen Artarski is a hunk of a man. Tall, handsome and ramrod-straight. He could serve in Special Forces or join the Honor Guard. He could be a grenadier or serve in the praetorian guard of the Caesars. There is some inner strength in Rumen – he is big, but not bulky or sluggish. When he first wrote to me in 2010 I did not know him as much as I do today. However, the preamplifier that he sent for a review was outstanding, very much to my liking. Built with a heart, it looked like a pure-bred product from a large manufacturer that has for years mastered the production process and now can focus solely on the sound. The review appeared in "High Fidelity" in January 2011 and was the first publication on products from Thrax Audio outside its native Bulgaria. Almost any encyclopedia confirms that a vital characteristic trait that was admirable in ancient Thrace, whence the company takes its name, was physical strength. I think Rumen would fit in perfectly there. The region, which was historically part of the Roman Empire, located on its eastern flank, is currently divided between three neighboring countries: Greece, Turkey and Bulgaria. It was the birthplace of Spartacus, the slave and gladiator who became the leader of a slave uprising against the Roman Republic in 73-71 BC, which attracted about 100 thousand people. There is no denying that by naming his company after the Roman era and borrowing the names of his products from the Greek pantheon of gods and famous people from the Roman period he clearly identifies with them. Well, if you can boast such a long history, you just have to do that. The beginnings of Bulgaria go back to the 5th century BC, when Thracian tribes were united in the Odrysian Kingdom, subsequently conquered by the Romans. The region between the Danube River and the Balkan mountain range was organized as the Roman province of Moesia (6-9 AD). Rumen would fit in perfectly there, I'm sure of that. I have been waiting for four years to review the whole Thrax Audio system, which has recently been expanded to include a DAC. 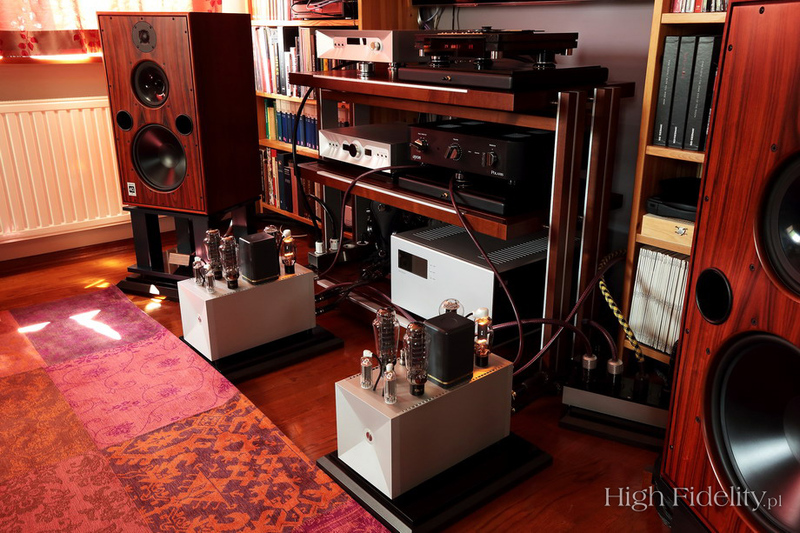 Now we have a complete audio system, from the Maximinus D/A converter, through the Orpheus phono stage and the Dionysos preamplifier, to the power amplifier, either the tube-based Spartacus or the hybrid Hero monoblocks. Each one of them is a proprietary Thrax design. The company is located in Sofia, the capital of Bulgaria. All Thrax products are manufactured right there, from A to Z. Each one features interesting design solutions. The DAC is based on a DSP-controlled, discreet R-2R resistor ladder. It is a multi-bit design with the resolution of 25-bit and upper sampling frequency of 384 kHz. The user is presented with a wide range of sound-shaping capabilities, which include selectable reclocking, two upsampling algorithms and four digital filters. The signal path is extremely short, with no output buffers or coupling capacitors. Instead, the output is transformer-coupled. As a matter of fact, coupling transformers seem to be a Thrax trademark, and are also used in the input and output stages of the Dionysos preamplifier and in its volume regulator. The power amplifier has a transformer-coupled input and employs an interstage transformer. As I’ve said earlier, the components are manufactured in Bulgaria. The workmanship is top notch. Perfect enclosures, beautiful inner assembly, very expensive electronic components throughout and microprocessor-based control are common features in all of them. Every company, regardless of its origin and experience, could be proud of such design and workmanship quality. Even the Japanese, although they have their own tricks and solutions, like the use of oil capacitors and copper. Could you tell us the story behind the Spartacus? 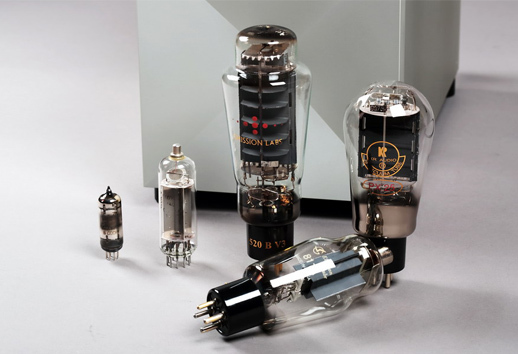 The concept for Spartacus came along after years of listening to the most famous single ended triode amplifiers. Our research pointed that the sonic character of the amplifier is defined by the driver stage and output transformer rather than by the type of output tube. The other crucial component is power supply. So we set to design a better single ended amplifier by using the accumulated knowledge. We decided to use a driver that is much more linear than the output tube by using a directly heated triode there, namely the PX25, and taking the PSU to an extreme by implementing a constant current shunt regulator. This sounded fabulous but the amount of heat produced and moderate power output (30W) was not enough. The next step was to double the output stage and reverse the phase of one of the output tubes. This resulting current cancelation gave us the opportunity to use higher quality nickel transformers and doubled the output power. Lower current fluctuations meant easier load for the shunt thus reducing the extra heat output. The second harmonic cancelation in the output stage made the amplifier sound even better and again its sonic character is shaped entirely by the quality of the PX25 driver. It does not sound like a tube amp at all, it does not sound like solid state either. And what about the Maximinus? The Maximinus was born out of necessity. I have been a distributor for some top digital brands since 1996. I am used to top quality digital components, but after introducing our amplifiers there was a huge gap in performance between the best analog and hi-res digital front ends. We needed a D/A converter that would have an exemplary low level linearity and resolution. We acquired all the best in the available OEM designs but none came close to our reference. After a bit of research we came across MSB Technology and their discrete sign-magnitude Ladder DAC. This was conceptually the right thing to do. We contracted them to do a revised version of their current flagship for us. During the process of product development we designed a new PSU topology using our ccd/shunt concept and new input board, this sounded very good. The next step was to do our own output buffer. We bypassed the output opamp they use and that changed everything – it was as clean and natural as we could ever want. The question was how to get that perfect signal out of the board. Here we set to design a circuit around an output transformer, more or less like in the Spartacus. This provides the necessary isolation and impedance matching. Does the Spartacus feature a fully balanced topology? The Spartacus has a balanced input as it is transformer coupled but the driver is single ended giving the whole amplifier its special character. Why do you use these particular tubes? Emission labs and KR make some of the very best tubes in existence today. This is the 21st century implementation of old technology. NOS tubes are inconsistent in terms of availability and performance, so we decided it is worth the extra cost. MSB has its own design concept of the USB input – which solution do you use? The USB input board has been developed by George from JLsounds.com He has written all the s/ware and implemented special features not available in other implementations. The Maximinus offers several digital filters – could you say something about them? There are 2 upsampling algorithms and 4 digital filters. We could not decide on a single filter that sounds best so we left the option to the user to choose “their” version. The differences are quite big. Try them all and after that I will tell you which one is which. Digital filters are one thing but upsampling is something else – do you consider the latter a good way of shaping the signal? I would recommend it for CD but again is a matter of taste. Music For A While. Improvisations on Purcell, Christina Pluhar, L’Arpeggiata, Erato 4636203, CD + DVD (2014). Danielsson, Dell, Landgren, Salzau Music On The Water, ACT Music ACT 9445-2, CD (2006). Dire Straits, Brothers in Arms, Vertigo/Universal Music Ltd. Hong Kong 5483572SX, SHM-XRCD2 (1985/2011). c, Bonne Records BOR 96016711, CD (1996). Jean-Michel Jarre, Revolutions, Dreyfus Disque/Polydor POLH 45, LP (1988). Jean-Michel Jarre, Zoolook, Dreyfus Disque/Polydor JAR4 5, LP (1984). Lars Danielsson, Mélange Bleu, ACT, 9604-2, “ACT: Nu Jazz””, CD (2006). Miles Davis, In A Silent Way, Columbia/Mobile Fidelity UDSACD-2088, “Special Limited Edition, No. 1311”, SACD/CD (1969/2012). Pat Metheny Group, Offramp, ECM/Universal Music K.K. UCCU-9543, “Jazz The Best No. 43”, gold-CD (1982/2004). Soundgarden, Superunknown, A&M Records 3778183, “Deluxe Edition”, 2 x CD (1994/2014). Tangerine Dream, Phaedra, Virgin/EMI Music Japan VJCP-68867, CD (1974/2004). The Beatles, Abbey Road, Apple/Toshiba-EMI TOCP-51122, CD (1969/2000). The Handsom Family, Singing Bones, Carrot TopSAKI036, CD (2003). The Thrax system is truly impressive. It is perfectly built, has well-balanced proportions and offers great functionality. Its metal enclosures sport the kind of finish befitting modern solid state amplifiers, which seems to stand in opposition to Thrax’s tube soul. But only at the first glance. After proper installation and setup, the components blend into the surroundings, only occasionally marking their presence. The most dazzling of them are the monoblocks that make for the clou of this system. However, to bring out this clou and be able to say something like that, the Spartacus need to be set up with the other Thrax components. The review concerned the whole Bulgarian system, but I also tried swapping the components one by one for those from my reference system. Each time I noticed a marked change and some sonic improvement. 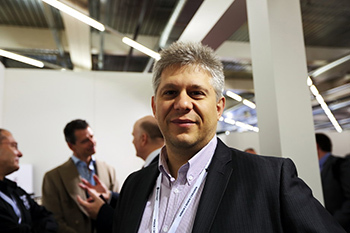 But I was always glad to go back to the original setup installed by people from RCM, the Polish distributor for Thrax, with a sense of relief and satisfaction of a job well done. The DAC, preamp and monoblocks would just “click” together into something better and nicer. Playing tracks that are big on atmosphere, with clear interaction between the musicians which creates a "message", not only music, I found the Thrax system become more beautiful with every next track. Not that it looked or sounded bad to start with, that is. It’s just that during the audition you slowly start to sink into whatever you’re sitting on, and feel your shoulder and then face muscles relax. The presentation is incredibly dense and beautiful. The category of beauty is difficult to stratify and there are no clear indicators of what makes a thing "beautiful" because it changes over time. But I think that in a small group that belongs to a given segment of culture, for example among audiophiles, it is possible to agree on what is and what is not beautiful. That is why it is so easy for me to talk about beauty in the context of Thrax. Part V from Salzau Music On The Water. Falling from Homeland. Mélange Bleu from the album of the same title. The whole of None But The Lonely Heart. And others. All these tracks were wonderful. Saturated and soft. And at the same time so packed with information on differences between the instruments that they felt natural. It's not about detail, because when we listen to live music we do not perceive details in isolation from context. The Thrax sounded the way you hear music at a concert, offering large musical planes without emphasizing the attack, and at the same time clearly enough to nicely compensate for the lack of visual aspect. The system evidently cherished vocals in a special way. And solo instruments, like on the Platinum SHM-CD version of John Coltrane’s Ballads. Discs of this type sounded better than they do on my system. At least in terms of depth within a given sound source or timbral differentiation. It did not apply to all CDs, which I will say more about later, but the sound was very similar to what I had heard before from the Ancient Audio Silver Grand Mono monoblocks. A similar softness was also characteristic of the Triode TRX-M300 Reference Edition monoblocks, although it was not accompanied by such outstanding resolution. 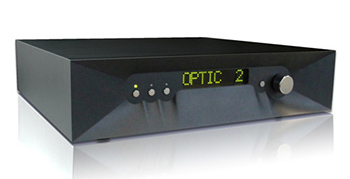 A similarly saturated sound is also offered by solid-state amplifiers from Vitus Audio. The overall tonality of the Thrax system was centered on warm midrange, although not limited to it. When a recording suggested it, the upper treble was open and strong. The bottom end, if only so envisaged by the production and mastering engineer, was strong, dense and accurate. Of course, accurate for a tube amplifier. But the dominant impression after the first minutes of listening was that of sinking into something soft, which indicates that it is the midrange that is most important. The Spartacus, which is the most important contributor in this regard, has a good low frequency response. Most triode-based amplifiers I have heard (including pentode and beam tetrode designs) have a less controlled and more "saggy" sound. Many powerful amplifiers on the KT88, KT120 and even KT150 power triodes cannot fully cope with the deep bass extension of electronic instruments, and tend to round off the left hand of the piano and thicken the double bass body. The Spartacus also adds something of its own and cannot match the sound decay capability of the Soulution, but it is neither intrusive nor awkward in doing that. Even a very deep bass extension on the recordings by Laurie Anderson or Lars Danielsson made no impression on the amplifier. The output current capability of the monoblocks must be impressive. Only the Ancient Audio amplifier is capable of something even more spectacular. But if you test your amplifiers using such speakers as the Sonus Faber Fenice (also known as "The Sonus Faber"), the Wilson Maxx3 or German Physics designs, you clearly know what you are doing. These are the speakers used by Rumen Artarski and his Thrax team in their reference system. Not easy to drive at all, particularly in the bass range. My Harbeth M40.1, although nominally the easiest to "move" in this company, are also very demanding. But even with them, the Bulgarian tube amp created very large phantom images, which is a sign of a great lower midrange and bass saturation, and showed good extension all the way down, only limited by the speakers themselves. The bottom end, below some 40 Hz, was slightly less energetic but it had no special consequences for the music. Only a direct comparison against the Soulution showed that, whatever we think of it, tube amplifiers are just no match for solid state in this range. The sound of the Thrax system showed only slight coloration. Its overall tonal balance seemed fantastic and was reminiscent of that in my own system and in Tomek’s system (see HERE). If anything, it was rather on the warm side, or at least it seemed to be. My bet is on the latter. The sound was very clean and exhibited a fantastic dynamic and timbral differentiation between instruments. The Thrax built up a large soundstage, with very strong musical planes in front of the listener, and with excellent spatial aspects in counter-phase. Anderson’s and Danielsson’s albums that are rich in this type of information made me sit in a large bubble of sound. It must be said that the foreground was so intense and palpable that it made the layers further down the soundstage seem quieter and less important. The background was neither muted nor too little expressive, but it simply did not draw so much attention as it does on my system. I needed to focus on the further planes to make them "come out", appear from the background. In a normal listen, when we let ourselves be carried away by the music, everything that is located behind the performers and sounds in the foreground becomes of secondary importance. Everything written so far is very universal and will prove true with any musical material and the majority of loudspeakers. The Spartacus monoblocks have excellent speaker control, without showing any sign of a "tube" character. But they will not do anything that’s not to their "liking." Their agility and energy, in the sense of rhythmic "punctuality," are fairly subdued. Electronica albums by Duda and Bilinski (the new Best of the Best is fantastic, including the LP! ), rock music, such as the new remaster of Soundgarden Superunknown or the SHM-XRCD release of Dire Straits Brothers in Arms, but also more upbeat tracks by The Beatles, all sounded calmed down and smoother than they should have. Small ensembles and slower compositions came out brilliant, as if played live, with suspended "air," proper pause and silence, and fluids between performers. Anything heavier would bring me back to a polite, gentle sound. As I’ve said, the amplifier has a high current output capability and does not run into audible clipping. It has therefore more to do with the structure of sound built in a certain way and results from designers’ choices and the inherent limitations of technology. It sounds as if Rumen and the people from Thrax knew exactly what they wanted to arrive at, and they managed to do it in great style. A system is a sacred thing in audio. The one from Thrax is a real system, not merely a set of components. They all fit together perfectly, helping each other. I did not review them separately, but to understand what they are capable of on their own I listened to each one, comparing them against my reference components. The DAC has a very warm, incredibly "analog" sound. It shows large phantom images and beautiful foreground. It sounds rather soft and does not offer a particularly deep soundstage. Its resolution is good, less so its selectiveness. The USB input works great, and the sound can be shaped to a large extent by the choice of digital filters. The preamplifier has a similar tonality, but is also more dynamic. It has quite a lot of "swing" to its sound, with a nice, soft attack. While the DAC gives the whole system its overall tonality and "sets" the soundstage, the preamp gives it some "swing" and binds everything together so that individual elements work in harmony. But I think it is the Spartacus that is the real star here. The monoblocks give everything else energy and build up the structure onto which elements transferred from the DAC and preamplifier are superimposed. And it is them that retain full calm driving even large speakers that present a complex load. It is a system that offers a very versatile sound, particularly suiting small ensembles and good recordings that will come out very natural. Albums with poorer production are fun, too, and the Thrax tries to save them as much as possible, but when it is fed with something special, it warms up and plays music with real passion. And that is also how you listen to it, with a flush on your face. If you prefer large ensembles and like more drive and speed, you will either need to try out other speakers or look somewhere else to find more suitable electronics. The system was reviewed as a whole. Connection was via RCA interconnects; the individual components are single ended although they can also be hooked up using XLR cables. The amplifier gain was set to "Low." 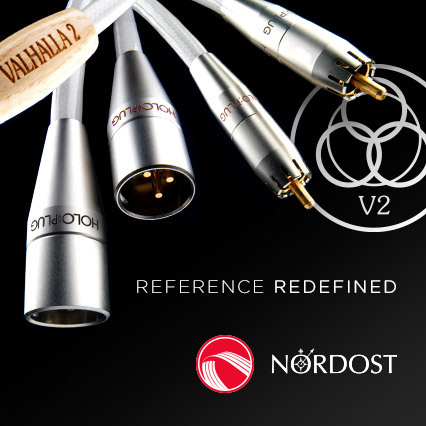 The DAC offers many opportunities to change the sound. I settled for Upsampling off, Reclocking on and Filter no. 4, occasionally changed with Filter no. 2. The upsampling adds warmth to the sound and emphasizes the midrange. However, it happens at the cost of lower resolution and clarity of the top and bottom end. The UPS1 setting is more focused, with smaller sound, while the UPS2 is more spacious and with less focus on instruments. The digital filters differ significantly. Filter 1 resembles a classic brickwall-type filter, with a sharp roll-off and symmetrical ringing before and after the transient. It results in a less “alive” sound, rather devoid of emotion. Filter 2 is deeper, warmer but very open. Filter 3 resembles something between 1 and 2, and did not evoke any special emotion in me. I liked Filter 4 the most, with its warmer tonality and best body. It is the one that particularly favors the foreground, but is also the only one that offers outstanding volume and palpability. It treats further musical planes with less attention. 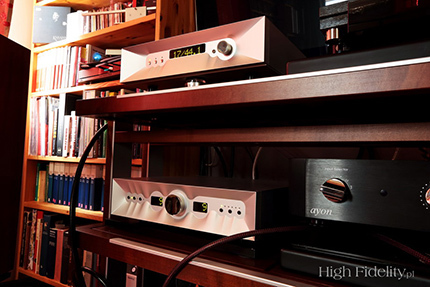 Reclocking results in better three-dimensional bodies, nicer textures and better bass.>During the review, the amplifiers were placed on the Acoustic Revive RST-38H isolation boards, and the DAC was sitting on the Franc Audio Accessories Ceramic Disc Classic feet. All components were powered via the Acrolink Mexcel 7N-PC9500 power cords, plugged into the Acoustic Revive RTP-6e Ultimate power strip. The signal was fed from the transport section of the Ancient Audio Air V-edition and, via USB, from a HP laptop equipped with Windows 8/8GB RAM/128GB SDD/JPlay player.